"Dividend Ex-Dates in the Philippines" is a monthly publication of by Filipino Investor to give investors in the PSE a sense on when is the upcoming dividend ex-dates of PSE listed stocks in the next three (3) months. 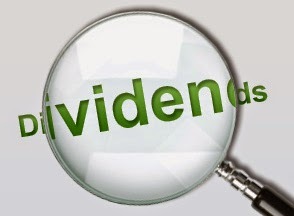 The Dividend Ex-Date is a key date for dividend investors because it is the day when a stock will trade without the dividend (ex-dividend), hence to qualify for dividend payments the investor must buy the stock before the Dividend Ex-Date. In the table presented, "Dividend Ex-Date" refers to the actual ex-date already announced by the company. "Next Estimated Ex-Dividend Date" as the name implies, refers to the estimated next dividend ex-date of the company based on their historical trend of dividend releases. This is not an investment advice and the The Filipino Investor shall not be responsible or liable for any trading or investment decisions made based on this information. The Filipino Investor hereby expressly disclaims any responsibility for any error or inaccuracy in the information.